But what about those rel="me" things? Quite easy to add, no coding needed. Just go to the WordPress menu editor. 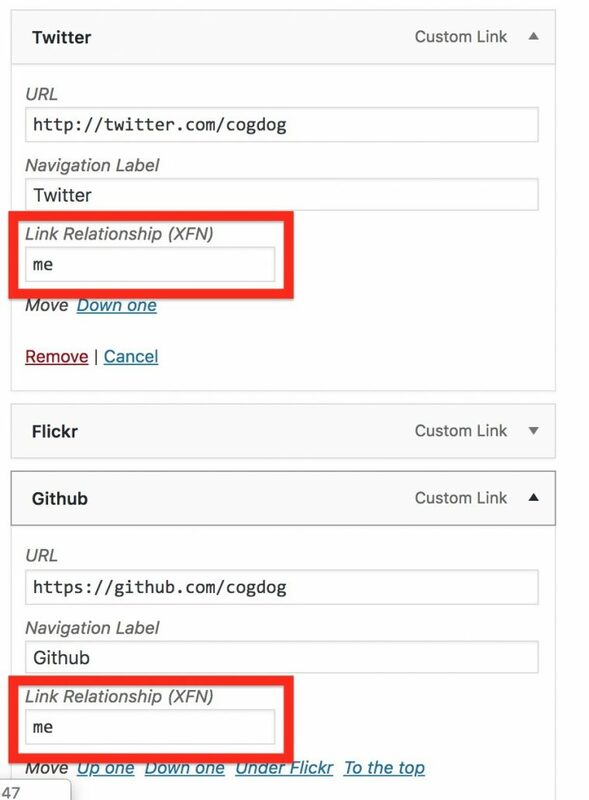 Pull down the top curtain for “Screen options” and check the box for “Link Relationship (XFN)” (whatever that means) (look it up). Now I just add a me to those boxes. I used WP Beginners Header and Footer Plugin, but think your method is much cleaner. Something I will note for the future.